Grundfos is a global supplier of energy-efficient pumps and pump solutions for both commercial and domestic needs including heating, air conditioning, irrigation systems and wastewater movement. 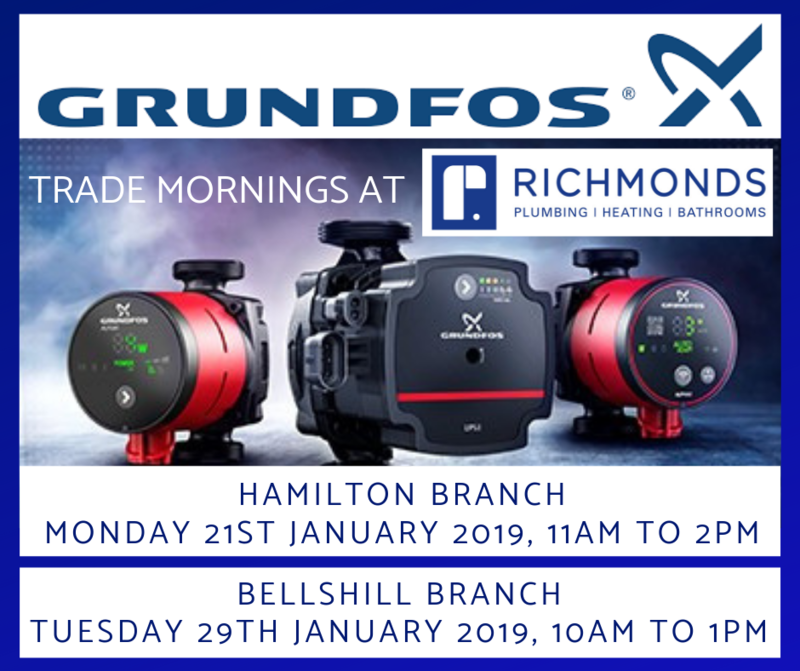 Come along to our Trade Mornings to find out about the Grundfos product range. Our staff will also be on hand to answer any questions you may have and, of course, supply you with the products too. We look forward to seeing you soon. Please note that we will be updating our News pages with all 2019 Trade Morning dates throughout the year – keep checking back for details.